I don’t know about you, but I always seem to have paper. Weather it’s a clipped recipe, a bill, a coupon or a list of things to remember I always seem to have several categories of paper. 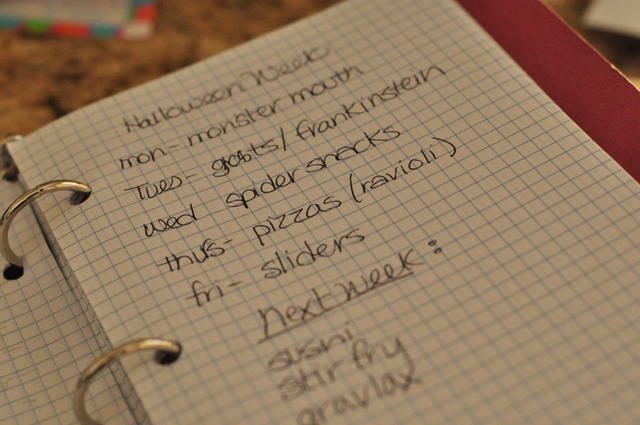 And, having two kids, two blogs and a busy house full of things to do… I need to have a “paper system”. 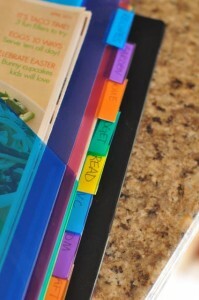 The best way, I have found is to get a binder, and the tabbed pocket dividers like these. 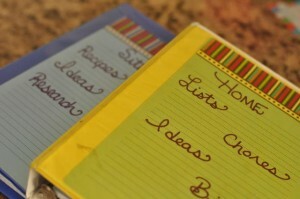 I have sections for recipes, budget, lists, read, craft, kids, decor…etc. Now: If you happen to blog- I keep a separate notebook for my blog, and it helps me keep focused on what posts I plan on sharing. Here’s one from a “24” event I had done for “The Village Cook”. And, here’s one from October. I use two sizes, a large for the household things and smaller ones for the blogs. I also like graph paper. Not sure why. Now: In terms of organizing the paperwork to put in your binder: that’s up to you, and how you tackle things. I make it a point to week to go through the clippings I have filed or noted and act on them. Recipes are hard, sometimes they stay in there for a couple of weeks. Coupons and bills get addressed, and my lists are updated. 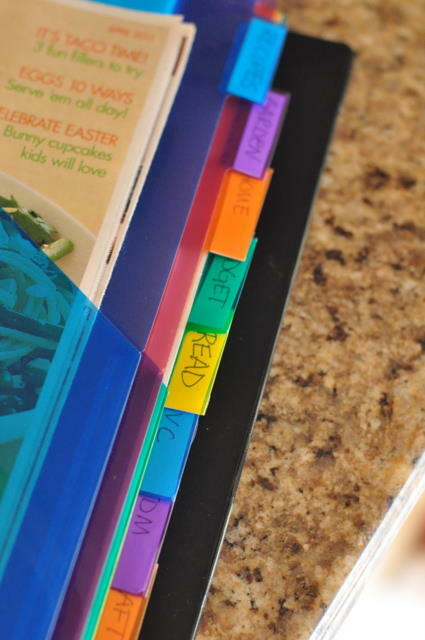 It only takes a few moments to place them in the binder, and then they are in a neat, organized place until you have the time to go through it. Let’s face it: a binder looks a lot better on the counter than a stack of papers. 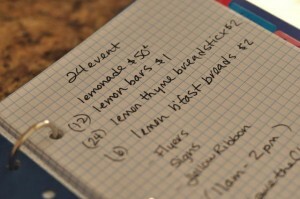 And, you can quickly find that bill, recipe or list you made earlier in the week. Watch for more posts in the “paper” category to come soon.